Yesterday’s publication of the Statistics on International Development (SID) for 2017 was widely covered in the media today – with outlets noting the aid budget topped £14 billion for the first time last year. The UK government is committed to spending 0.7% of our gross national income on international development every year. As a result our UK aid budget only goes up when the UK economy grows, a sign of our economic success. The SID results showed the UK aid budget was £14.1 billion in 2017. The Department For International Development (DFID) was responsible for 72% of this, with other government departments including the Foreign Office, the Department of Health and Social Care, and the Department for Environment, Food and Rural Affairs, spending the rest. Last year saw a series of humanitarian disasters around the world, with DFID at the forefront of delivering essential lifesaving aid during war in Yemen, the Rohingya crisis in Bangladesh and famine in South Sudan. UK aid spending in all these countries went up in 2017. At the same time UK aid has shifted away from spending in middle income countries like India and China. We are spending UK aid where it is most needed, saving lives and helping poorer countries prosper. 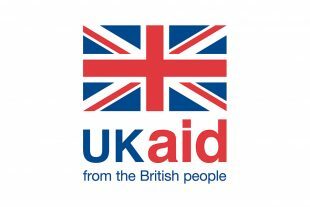 Poverty reduction is at the heart of what we do but UK aid is also tackling global challenges like disease, terrorism and conflict, and creating a safer, healthier and more prosperous world for us all. This is a win for the UK and a win for the developing world. The Daily Mail, Mail Online, The Daily Express, The Times and The Sun all ran pieces, going in on the fact the UK budget was £14 billion last year. Both The Daily Mail, The Daily Express and The Times refer high up in their pieces to Pakistan as the biggest recipient of UK aid in 2017. Our spending in the country last year with £402 million, compared to £463 million in 2016. Almost a third of Pakistan’s population - over 60 million people - lives in poverty. One in 11 children dies before their fifth birthday, and 9,700 women die in childbirth every year. There are around 22.6 million children out of school and missing out on an education in the country. UK aid is helping to build a more prosperous and stable Pakistan that will help millions of poor people. It is also addressing the conditions that could allow violent extremism to grow. This is a win for Pakistan and a win for the UK. Former International Development Secretary Priti Patel, speaking to The Daily Mail, said it was crucial the aid budget was spent well. She said: “When we see a marked increase in the international development budget like this, it makes it all the more vitally important that we ensure that the money is delivering in terms of the national interest at home and abroad. All the coverage featured background and quotes from DFID.